On Earth, Hari Michaelson was a superstar. But on Overworld, he was the assassin Caine. Real monarchs lived and died at his hands and entire governments were overthrown...all for the entertainment of millions back on Earth. 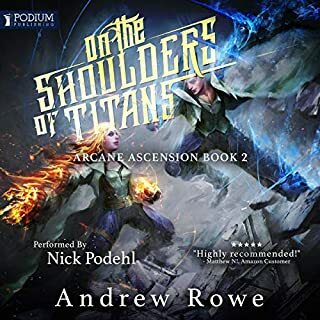 But now Hari, stripped of his identity as Caine, must fight his greatest battle: against the powerful corporate masters of Earth and the faceless masses who are killing everything he loves. Some laws you break. Some break you. And then there's Caine's Law. From the moment Caine first appeared in the pages of Heroes Die, two things were clear. 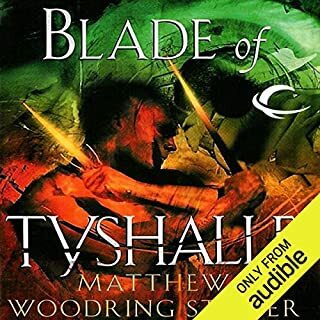 First, that Matthew Stover was one of the most gifted fantasy writers of his generation. And second, that Caine was a hero whose peers go by such names as Conan and Elric. Like them, Caine was something new: a civilized man who embraced savagery, an actor whose life was a lie, a force of destruction so potent that even gods thought twice about crossing him. Now Stover brings back his greatest creation for his most stunning performance yet. 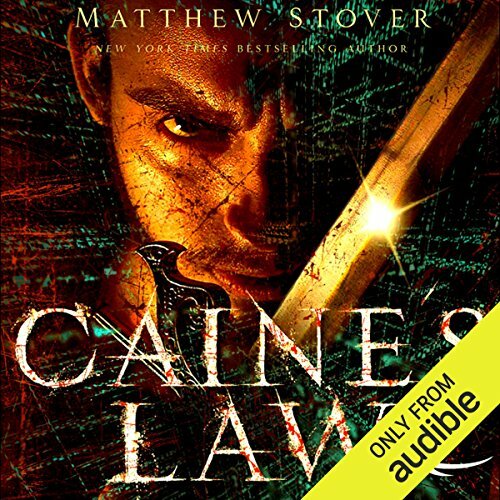 ©2012 Matthew Stover (P)2012 Audible, Inc.
Would you consider the audio edition of Caine’s Law to be better than the print version? What other book might you compare Caine’s Law to and why? Caine's Law is so much unlike anything I've ever read, even Stover's other stuff. Have you listened to any of Stefan Rudnicki’s other performances before? How does this one compare? Oh yes. There wasn't many pages where I didn't go "HOLY COW!" but Caine's speech to the BOG is really good. Also, the Mockingbird question. Did you listen to Hero's Die? Blade of Tyshaelle? Perhaps Caine Black Knife? Well you better do that before listening to this one. Caine is back and he is crafting a new future by rewriting the past, his past and the past of the universe... both of them. Harsh, gritty, profound and violent. Fans of Stover will not be disappointed. Stover goes off the rails with his final book of the Caine series, at times confusing, at times fantastic, so I loved the series, I loved the MC, but I warn you, parts of this book are insane and if you plod thru, you will enjoy, but when it was all said and done I enjoyed it, despite the insanity. Caine is back in action. Combining "memories" of his brutal career start with no less brutal current adventure, he spins so great a yarn you'll never notice the passage of time. And when you get to an -- admittedly cliffhanger-y -- ending, you won't mind, you'll yearn for more. What an ending. 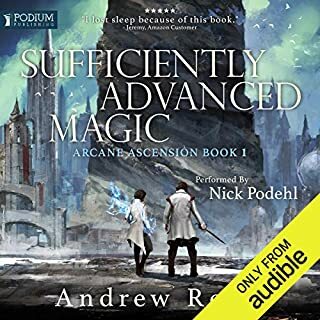 This must be read/listened to immediately after book 3. Thanks for the story. 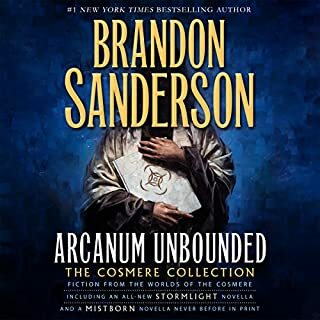 This book was the perfect mix of sci-fi, fantasy and dystopian worlds. I loved the series and this book is the perfect ending. Took me awhile to get through the book, was worth it in the end, though I probably need to read again as it's somewhat confusing. 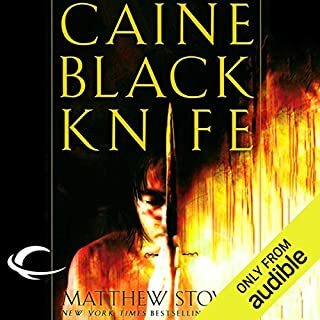 I've listened to all of the Caine books and really enjoyed them. This one proves Stover's imagination is far from tapped out. The guy keeps taking things to new and interesting levels. I guess that's what makes great authors truly great, which he is. I'm not sure if it's because I read this one most recently, but it definitely struck me as more philosophical and dialogue heavy than the first, but it's all so great that I mention it as a positive. Still more than enough action, which is an f-ing ton. It's just a little smarter than before. The other good thing to know is that it lacks some of the depressive coloring of the last book. It still contains a great spectrum of emotion, but this book is more like the first two in its level of kickass. 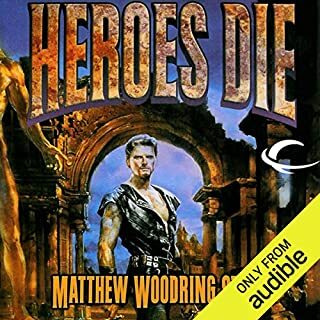 I wrote a review after 'Hero's Die' about al l the books up to 'Acts of Caine II' & this is to reinforce the absolute MAD, self-Deprecating, & absolute breakdown of multiple worlds/realities because of one man, or one actor, whichever u want to use, but in the end whether Caine does it for his fans or himself or those he loves or a little of all of it plus vengeance on those that tried to hurt the peeps he cared for; the closest thing I can compare this ride of novels is similar to a person getting ready to wage Jihad for his purposes & is not afraid to Martyr himself or anyone not lucky enuff for him to care about while on this trek to oblivion.